Remember the old drive-in theatres? 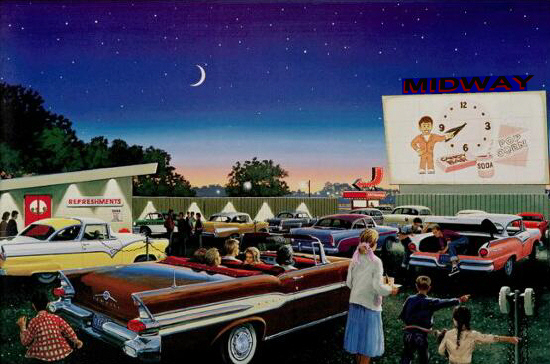 Pull your car up to a speaker, get some popcorn and watch a movie in the comfort of your car! A variation of that can now be experienced at FBCH when we turn our parking lot into a walk-in theatre with our large, 12′ x 12′ outdoor movie screen. Bring a blanket or a lawn chair and watch a movie under the stars! We’ll furnish the popcorn too. The movie starts at dusk, approximately 7:00 p.m. I Can Only Imagine is the song that brings ultimate hope to so many. Now, Bart Millard’s inspiring real-life story behind the beloved MercyMe song will encourage people in a whole new way. The movie I Can Only Imagine is a gripping reminder of the power of forgiveness, beautifully illustrating that no one is ever too far from God’s love or from an eternal home in Heaven. FROM PASTOR BARRY…I really love a good movie. Movies can tell powerful stories and reach wide audiences. And isn’t that what we’re called to do as Christians? Tell the gospel story and reach the whole world with it. I’m excited about our up-coming outdoor movie night. 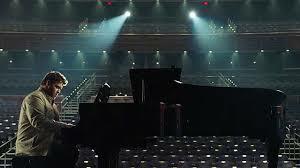 The movie, I Can Only Imagine tells the amazing story of a song you’re probably familiar with: I Can Only Imagine. It’s a song about Heaven, but the song was born in the heart of a young man named Bart. Bart’s story is one of pain, struggle, family, loss, faith, and redemption. The song has probably pulled at your heartstrings. Bart’s story will do even more – it will inspire hope! Invite a friend that needs encouragement.